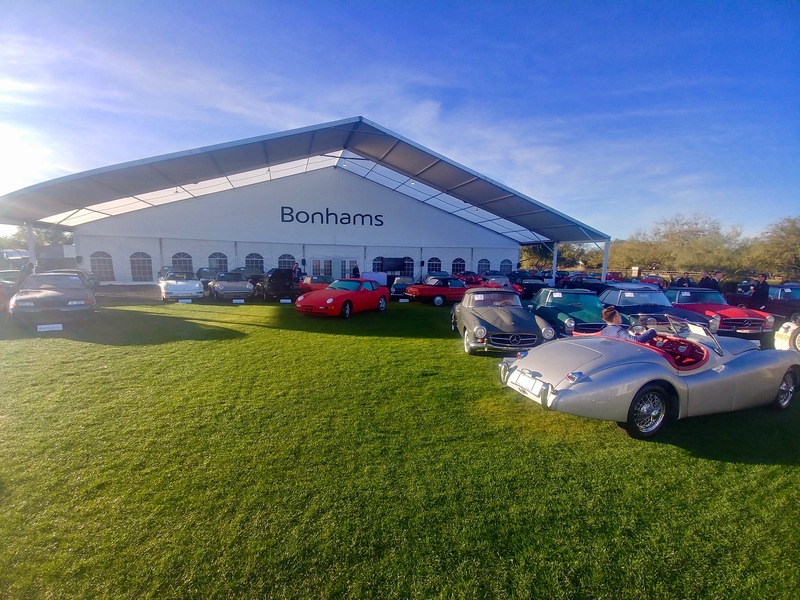 Bonhams’ Scottsdale auction not only is one of the first boutique classic car sales of the year, but offers vehicles at all levels and price points. 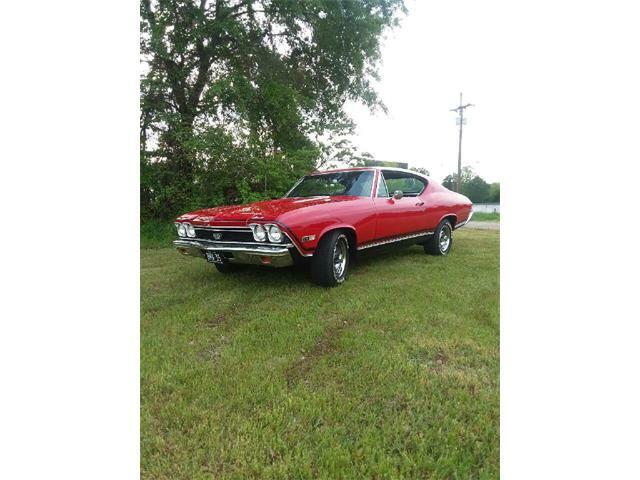 This is an auction at which you can buy your first collector car or move up into higher end as you progress in the hobby. 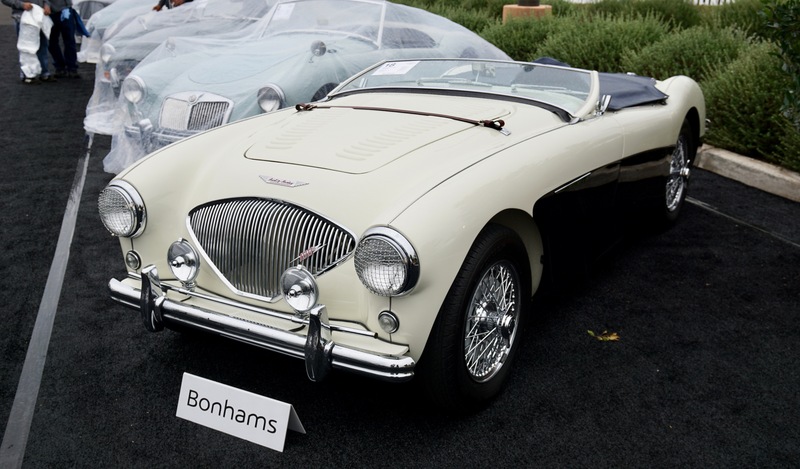 This year, Bonhams’ Arizona sale features 120 cars with pre-auction estimated values running from $10,000 to millions. There is something for everyone at this sale. 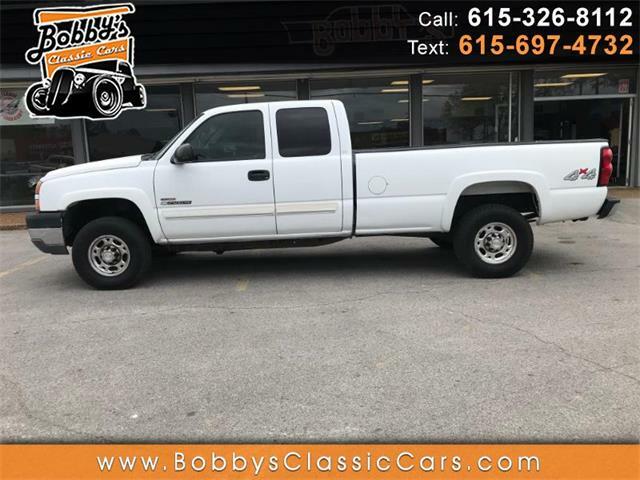 Combine that with the company’s excellent levels of customer service and you get a great environment to examine and buy a car at the auction which takes place Thursday. 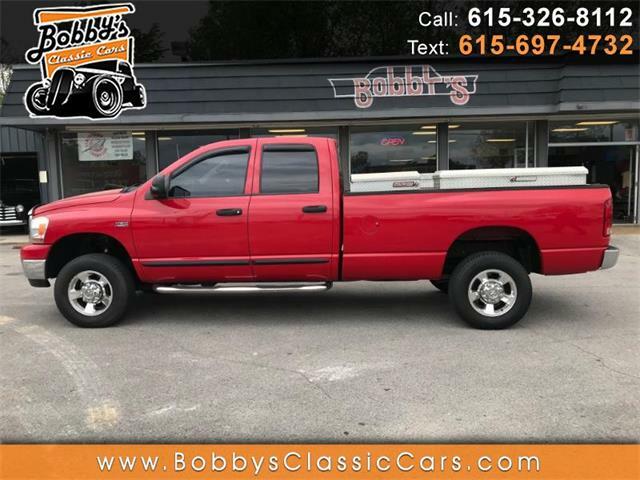 With the variety of the docket in mind, my picks reflect the various levels of vehicles on offer. 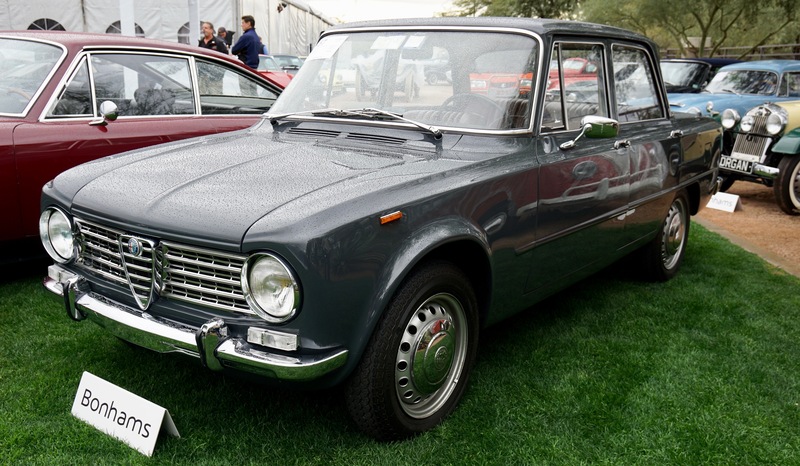 This nicely restored Alfa Giulia is the perfect vintage Alfa for the person with a family. Offering all the fun of a 2-door Alfa in a more practical package makes the Giulia 1300TI a genius design. 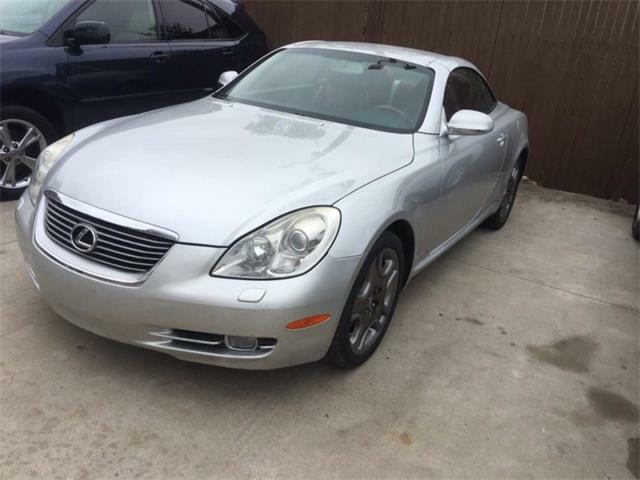 Easily able to comfortably transport a quartet of 6-foot-plus adults, this car is the perfect compromise to those people who what a vintage Alfa but with space needs beyond a Spider or GTV. 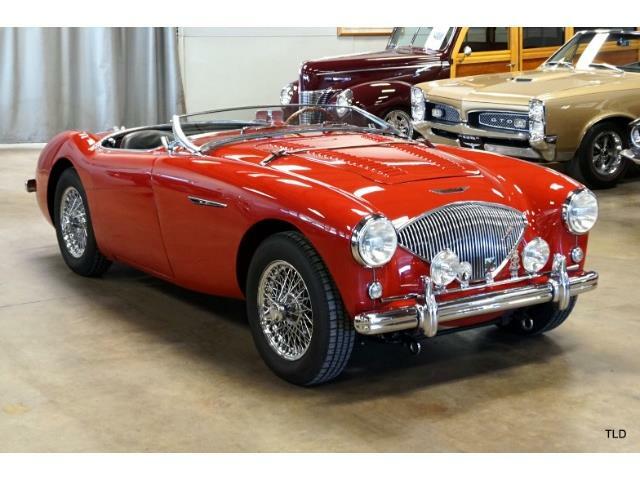 The Healey 100M is the big Healey to buy if you can afford it. These cars are true big Healey icons and were developed to go racing. 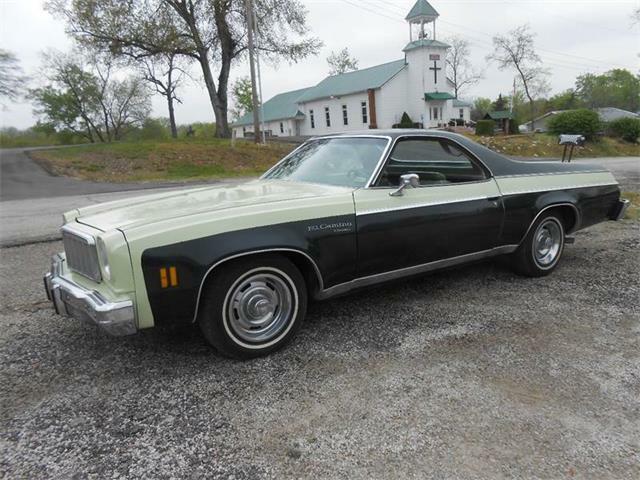 This excellent factory-built 100M is a well restored car with nice White with Black Coves paint. The car is in the Healey 100M registry and checks out as a real 100M. 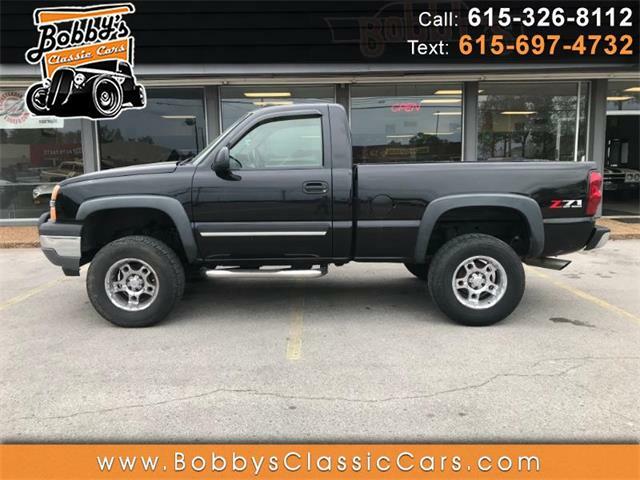 I honestly feel these cars are a strong deal at today’s prices and a car to buy now. The Boss 302 is my favorite Mustang. 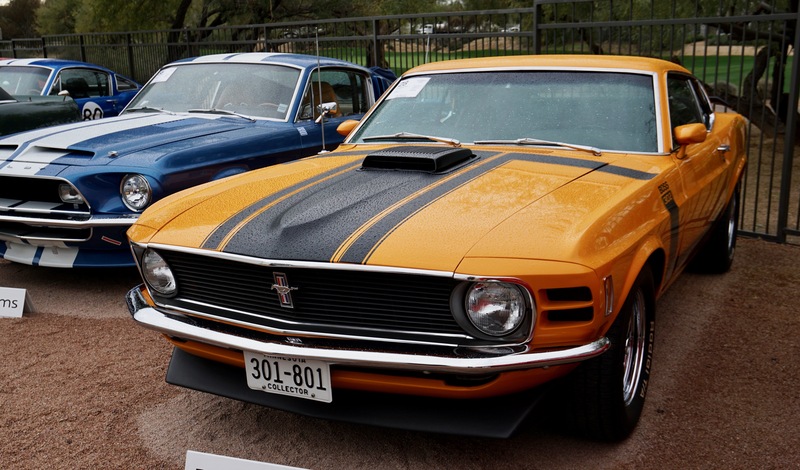 This example, which was color changed from it’ original Gold Metallic to a much more pleasing and iconic yellow with black Boss 302 stripe kit, looks to be an exceptional restoration. The car importantly includes a Marti Auto Works Elite Report, which much like a Massini report for Ferraris, and lets you know everything you need to know about the accuracy of this Boss 302. A perfect vintage rally car, I would love to own it. 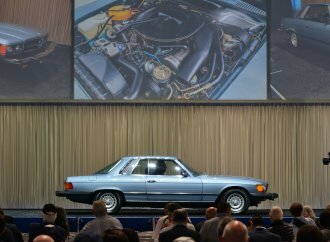 This is the big feature at Bonhams auction and it is simply stunning. 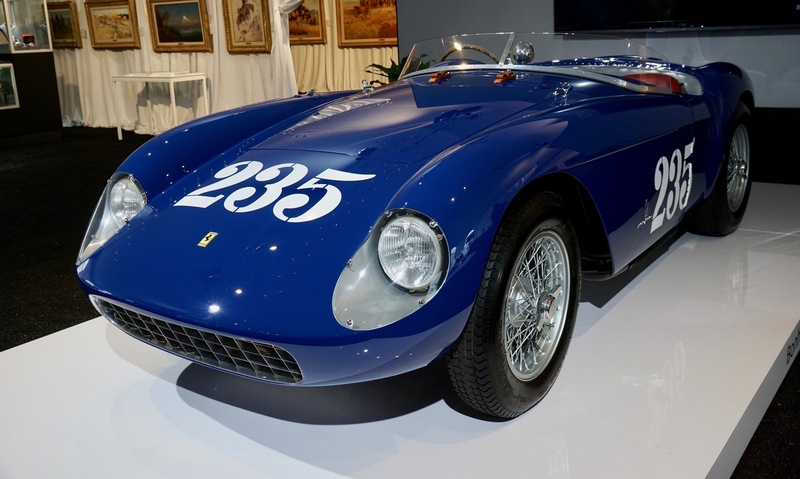 This 4-cylinder Ferrari is another exceptional restoration of a rare vintage Ferrari that has been connected over the years with James Dean, Phil Hill, John von Neumann and Richie Ginther, and even Zsa Zsa Gabor. Who wouldn’t want this in their garage? 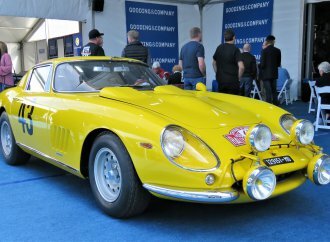 Not only is this my favorite car at the auction, it is also my all-time favorite car. 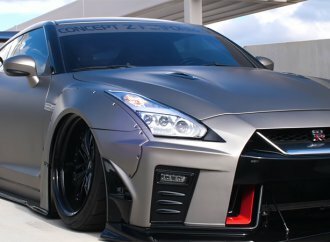 Yes, a lot of that is due to the “James Bond” effect, but it is also a stunningly beautiful car that is great to drive. 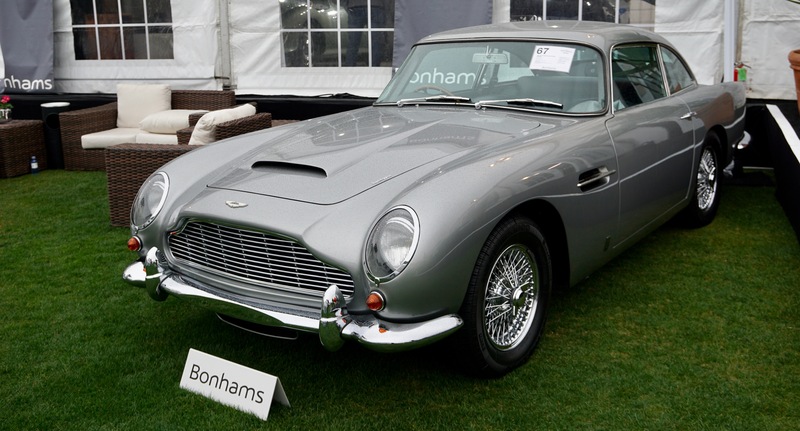 The DB5 is the most famous car in the world for a reason. I need this. 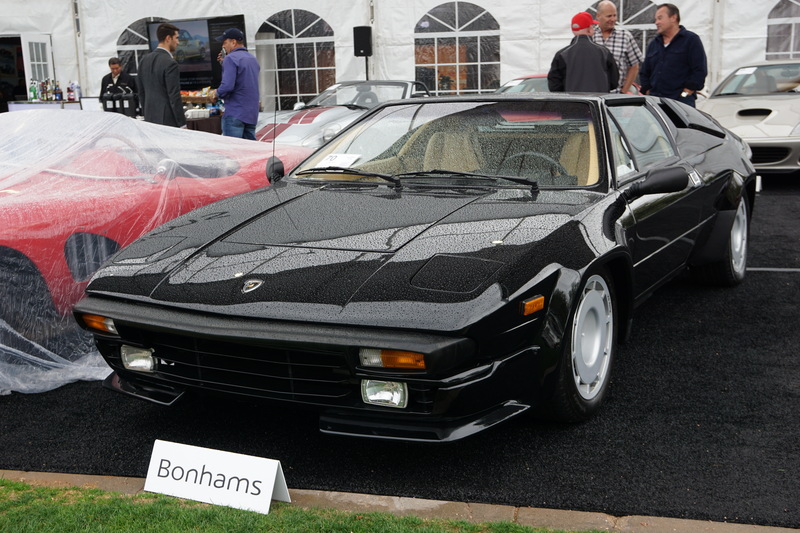 I tend to think of the Jalpa as the smart man’s Ferrari 308. It is a more comfortable car that offers fantastic styling by Bertone, combined with good performance and the magic of the Lamborghini nameplate. 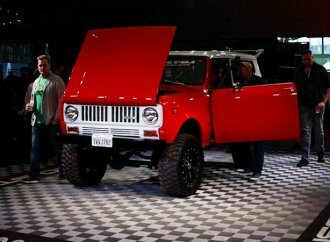 It is also considerably more rare than the 308 with only 410 total cars built. 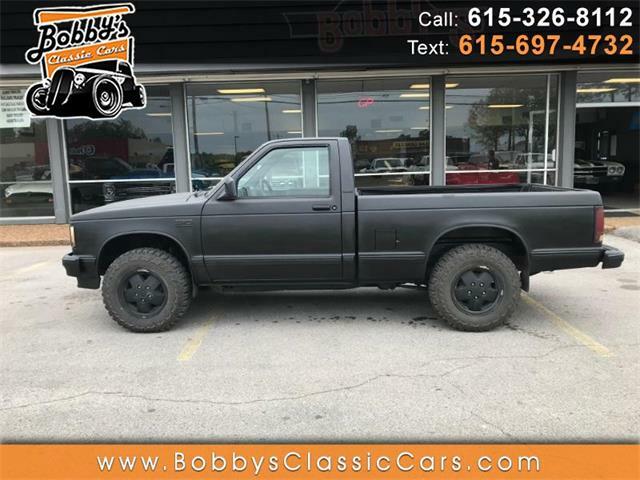 It is hard for me to pick a 308 instead. 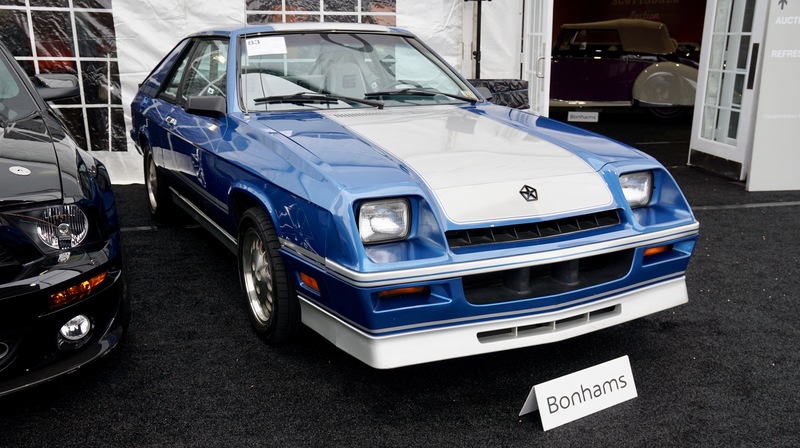 This is the first of the Shelby Dodge cars and not only does this car have a total of only 3,005 miles on the clock, the original owner was Carroll Shelby himself. A perfect preservation example of a car that is practically impossible to find these days in anything like this condition. 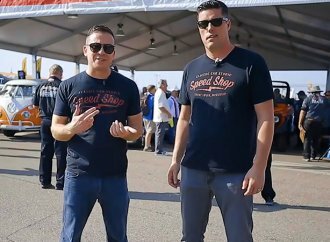 At anything less than $15,000 it is a bargain and the best deal on a Shelby car with Shelby ownership history ever. The 968 was the final iteration of the front-engined, 4-cylinder, water-cooled Porsche road cars and many consider it the best of all. The styling is a nice combination of the 928 and the 944 and the 968 is the only one of this series of cars that was built at the Porsche factory and not at Audi. 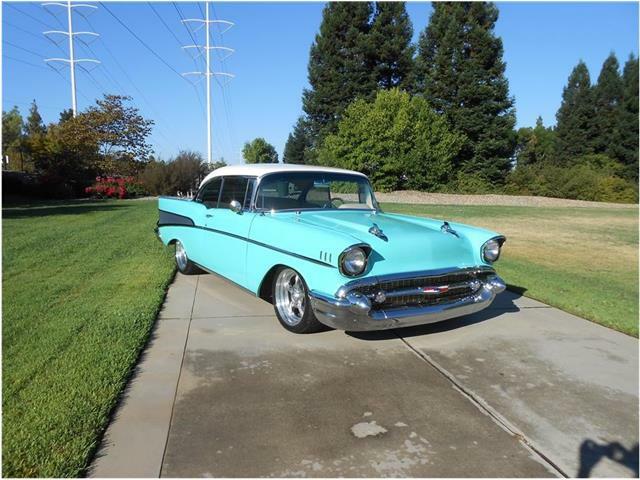 These cars drive amazingly well, many think better than the 911 cars of the period. As a result, it is impossible to find one these days with less than 40,000 miles, especially in the coupe form, which I much prefer. 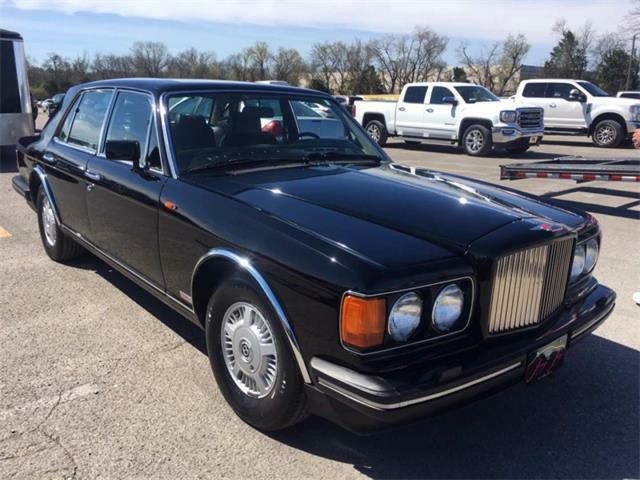 This car has only covered 4,400 miles from new and if I were to buy it, I would likely own it forever. 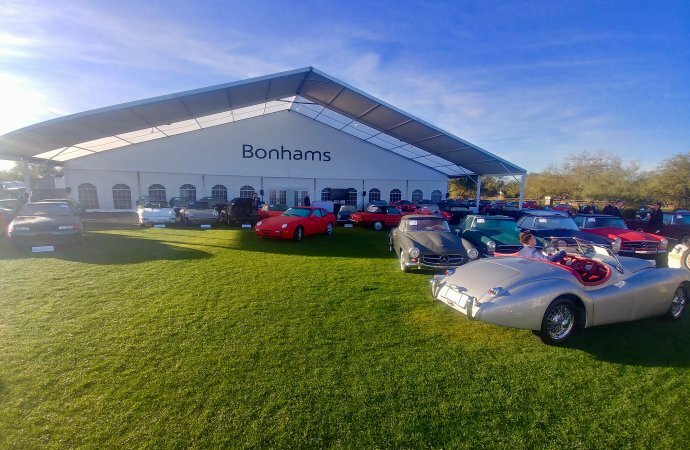 I was fortunate enough to attend Andy’s "Insider’s Tour" at this Bonhams sale during a preview day on Wednesday. 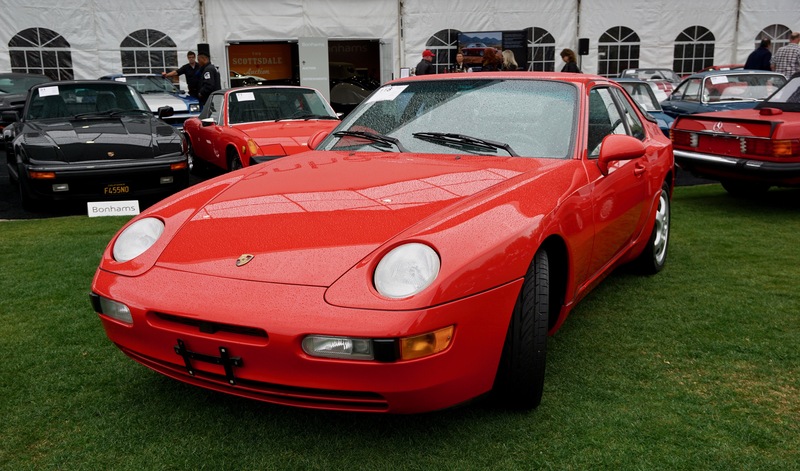 I have to agree with Andy’s assessment that the low miles Porsche 968 ($61K) and the S54 powered "Clown Shoe" BMW ($56K)– both now sold just above their low estimate– are going to look like bargains in a couple of years. BTW, if you ever get a chance to accompany Andy on of his tours, I highly recommend it. He possesses a wealth of knowledge and has a very keen take on the market. 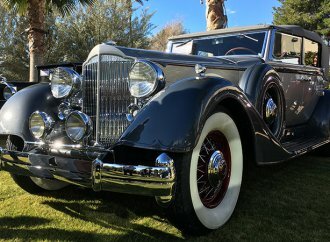 For me, the most enjoyable event of Arizona auction weekend so far.